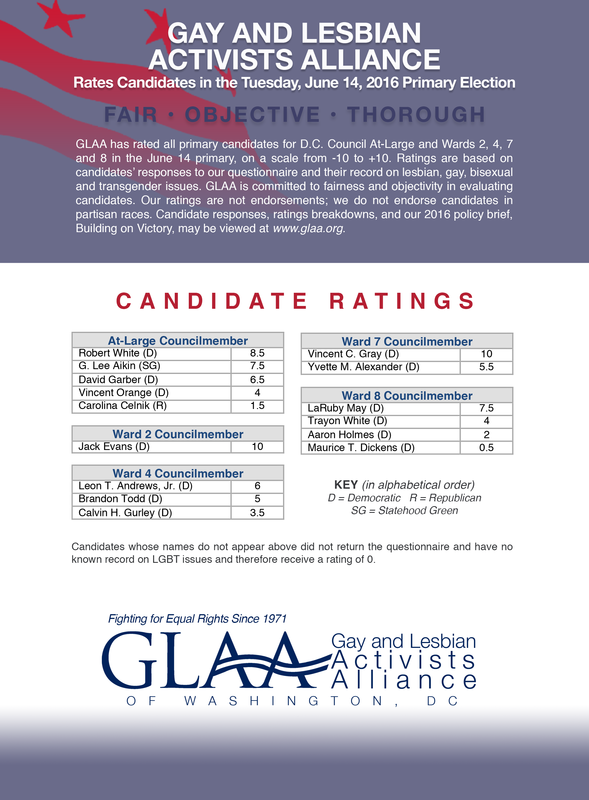 Educating and evaluating local candidates based on their positions and records. Wednesday, May 16 Publish ratings on GLAA website, post to e-list, blog, etc. Sunday, Oct. 7 Publish ratings on GLAA website, post to e-list, blog, etc. Sunday, Oct. 9 Publish ratings on GLAA website, post to e-list, blog, etc. Wednesday, May 11 Publish ratings on GLAA website, post to e-list, blog, etc.